We often see a variety of exquisite cosmetic packaging, including lipstick, eyebrow pencil, eyelashes, eye shadow, nail polish and other product packaging. We will find these cosmetic packagings in a variety of colors or in a simple packaging design. Each style of cosmetic boxes package reflects different brand characteristics or embodies different product features to attract more consumers. However, can a variety of cosmetic box packagings that have been carefully designed to be retained for a long time? According to the 2018 survey, more than 90% of consumers purchase the product, and when the product is opened, the package will be discarded at will, resulting in a huge waste of resources. It is undeniable that some of the large cardboard boxes package cosmetics can be used as storage boxes, which can be reused by consumers, but only a small part. Why not design more practical features when designing cosmetic packaging? When using lipstick, eyebrow pencil and false eyelashes, female consumers must use mirrors to better use the products and make women more beautiful. We need to design cosmetic packaging with mirrors. This can make the product packaging more reusable. 3) It is easier for consumers to form brand loyalty. Consumers will first consider the products they use in the next category shopping, especially if the packaging has additional features. Consumers will think that buying cosmetics, but getting two practical products, makes it easier to make purchase decisions. Making the product packaging more practical, not only can increase the sales of cosmetics, but also for other products. 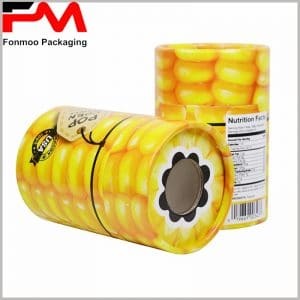 Before we can customize the product packaging, we need to spend more time on the packaging design, to ensure that the customized packaging can attract more people, in order to play the real function of the packaging.